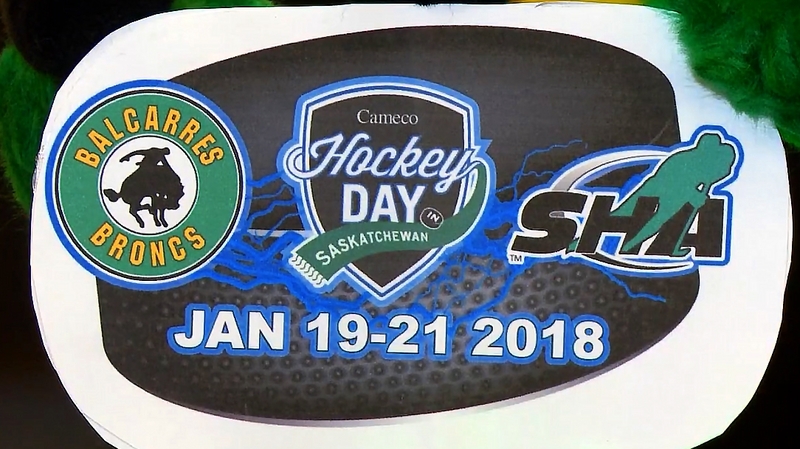 Cameco Hockey Day in Saskatchewan was hosted in Balcarres this year. The home of the Broncs, the three-day festival was a celebration of hockey, community spirit and raised all important funds for local rink renovations. That’s especially true in Balcarres where the arena complex is home to a thriving minor hockey system, a dance club and a mixed martial arts studio. “I have a sign in my house that says, ‘If we’re not home, we’re at the rink,’ ” said Balcarres resident Curtis Geisler, whose community turned Cameco Hockey Day in Saskatchewan into a week-long celebration leading up to the official festivities Jan. 19-21. When the buzzer sounded on the 12-game event, the host organizing committee announced a profit of $67,295 to help cover renovations to their 51-year-old facility. Cameco Hockey Day in Saskatchewan travels to a different community each year to help raise funds for the local arena. The event is a partnership between Cameco, the Saskatchewan Hockey Association (SHA) and the host community. 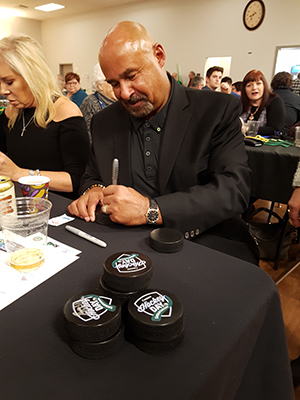 Weekend highlights included a banquet featuring five-time Stanley Cup champion Grant Fuhr and long-time NHL scout Barry Trapp, a Balcarres native; a youth skills clinic conducted by the SJHL’s Melville Millionaires; an SJHL showdown between Melville and Battlefords; plus midget AAA, junior B and senior action. Hall of Fame goalie Grant Fuhr shares stories during the Hockey Day banquet.